I have been very busy lately with the pace of life speeding up as school starts and summer ends. I have even lost the "bubble" on the Presidential Olympics. I have noticed that the two "horse" race seems to be broadening. In some of the latest polls, which I view on RealClearPolitics, there are four names in the race. The current face-off between the front runners is a media creation. Uneven coverage of the issues during the primaries and coupled with the sensational antics of both of the current major party standard bearers caused the electorate to focus on "form" and overlook "substance." The same is happening now. But, may be beginning to change. 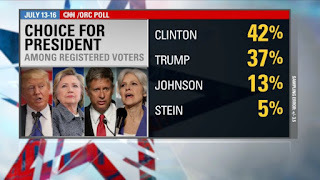 I have heard commentators suggest that both of the leading candidates are flawed Presidential contenders--yet, the media, when showing poll results continues to focus only on those two even though there are at least two additional candidates garnering up to 20 percent of the potential vote (depending of course on which poll results you choose to view). 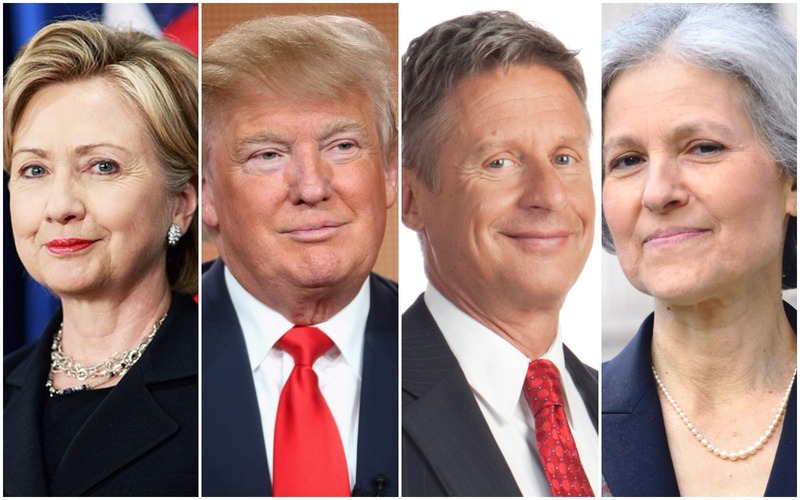 Even the scheduled presidential debates only recognize the two major party candidates. The media is limiting the access of Americans, the voting public, the We the People to a predefined paradigm without recognizing that many Americans are asking for alternatives. 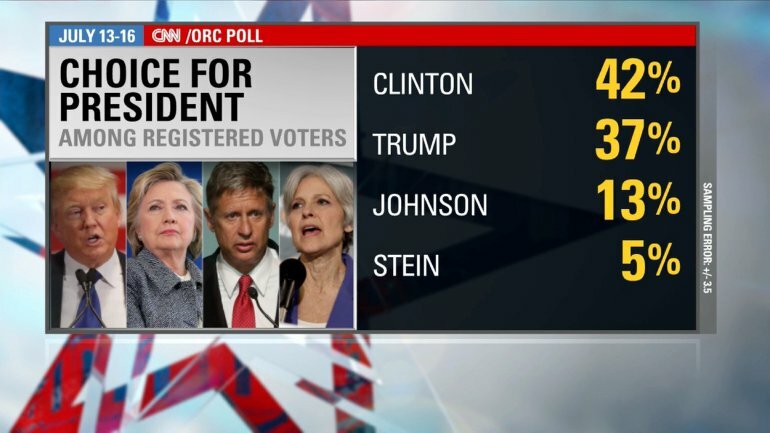 Can you name all four of the candidates who received at least 5 percent of the interest as recently as the August 30 NBC News Poll? My Take: Keep your options open and do not let the media shape you views or vote!Search for the truth by digging deep!